Imagine a messy desk with just about enough space for the keyboard. That’s my desk, so the idea of sitting at my desk to journal or create anything more than the odd scribble has been a challenge. Working hasn’t exactly been easy with no space on the desk but it’s worked in it’s own way! Supposedly a messy desk is the sign of a creative mind. I think mine would just be unorganised! Back in May we went to Paris for the weekend and then to Disneyland Paris for a week. I’d spent all week collecting train tickets, paper placemats from the restaurants and photos galore to then journal about it when I got home. Just like I’ve done with so many other trips. Well, we arrived back on Sunday evening having been away for about 9 days. In theory, we were ready to go back to normal life. However, at the end of our trip, Jaxon had gone down with Chicken Pox. Of all the times to come down with it! We knew it could be coming because it had been going round preschool and one of his little friends had gone down with a week earlier. While Chris went back to normal life, Jaxon and I were sort of in quarantine. Thankfully with some tag teaming with Grandpa I was able to escape to a work meeting. This is where working for myself comes in handy but between one thing and another journaling about our trip was getting further and further down the list. 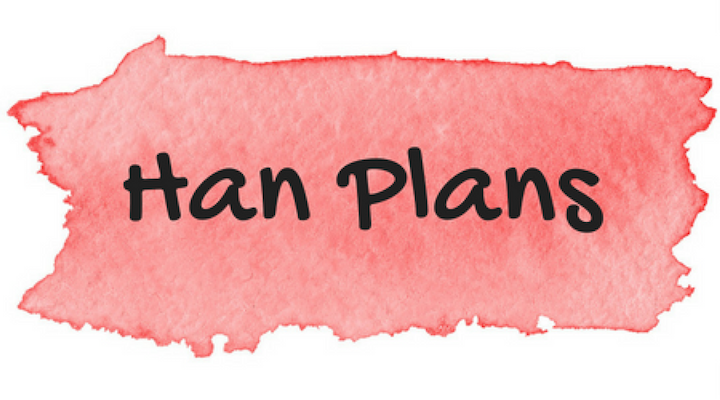 For months maybe even years it had crossed my mind to get a Passion Planner but having not got on with other hourly based planners I wasn’t sure it was right for me so kept putting it off. When I sat down with another independent business owner here in Bedford and I saw what her Passion Planner looked like, I was convinced – I’d print off the tester PDFs from the website and see how it would go. Well, that lasted all of the time it took me to fill in the next few weeks – I decided to order the undated version and get on with it. Well, the classic is a bit big (it’s A4) but works wonders! (And actually, since writing the post for Mrs Brimbles, I’ve ordered a compact too!). When my stickers arrived from July’s Sticker Club, I carried them around tucked in my planner for a few days and got a few ideas together like alternating the sticker washi with normal washi tape. Then when Chris was out at the church youth group and Jaxon was in bed, I attempted to get some filming done before it got too gloomy. I’m not sure it’s my best recording but it was fun to have the camera out for the first time in a while. When you consider all the delays about writing about the Paris trip, I think I got further and further away from wanting to journal about the trip because there was more time that had past since we had got back. In the end, I sat down and did it. I knew by getting on with it, I’d actually be able to clear both some of my messy desk and the pile that was growing underneath my desk (and would regularly get kicked and messed up!) Also I’ve been collect items since our holiday so they are taking up more space too! My go-to for journaling is usually some kind of TN insert, for a long time I’ve been in a TN but something recently has taken me away from that and I’m not entirely sure what it is that has put me off. I’ve been working my way through the notebooks and inserts I already have. Some are as big as A5 and others are smaller size TN inserts. My current notebook is a Midori MD A5 notebook with grid pages. I’ve used some of the collage sheet from previous Patreon collections from Anna to decorate the outside and then used some of July’s Patreon collage sheets to decorate where I’m starting in the notebook. This will be a bit like a bullet journal in that it will carry my to-do lists but it will also work as my journal to write about what we’ve been up to and how I’m feeling etc. Also, it will be a bit of a “catch all” so there might be photos and things too along the way (maybe a flip through will follow at the end of the book). I’m hoping now that I have this plan, I can clear my desk a bit, I can feel a bit more clearer in my head and come up with a plan to move forward. After all, what’s the point in getting caught up in all the decorative planning if you don’t actually get any plans done? This entry was posted in Being Creative, Creative Team, Stickers.